“The Paris Bar has noted that the situation of Turkish lawyers and magistrates has steadily worsened for a year, victims of a large purge in defiance of all international conventions and the most basic rights. Turkey can not claim to be a respectable regime within nations without a rule of law whose lawyers, magistrates and journalists are sentinels. The Paris Bar expresses to them the solidarity of the lawyers and mobilizes all the means necessary for them to regain their place and their role. Basile Ader, vice-bâtonnier of the Bar Association, therefore asks France, the land of human rights, to interfere firmly with the Turkish President for the unconditional release of 71 long-term sentenced lawyers. 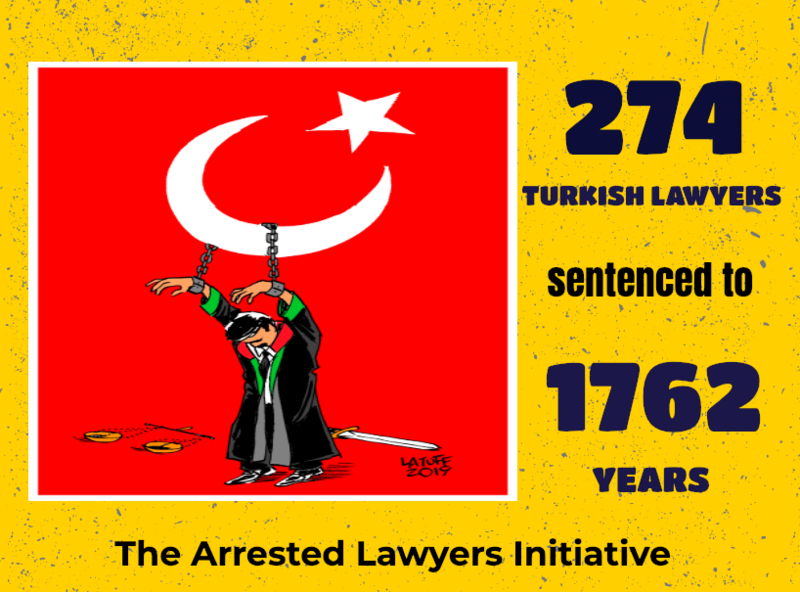 imprisonment and the discontinuation of the total number of 1486 lawyers. Among them, the Paris Bar calls for the release of Selcuk Kozagacli, who was honored during the solemn opening of the bar in 2016. Lastly, he calls for the withdrawal of the recent decree issued under a state of emergency authorizing Turkish citizens to bring themselves to justice in the event of suspicion of terrorism. It will only lead to a spiral of violence of which all Turkish citizens will be the potential victims. For Basil Ader, nothing can justify the contempt of the Turkish president for freedom of expression, the rights of defense and more generally human rights flouted daily. JANUARY, 2 | ATHENS BAR ASSOCIATION: Turkey has been had systematic violations of international law against the persecuted Turkish citizens and a large number of Turkish lawyers. Chairman of Athens Bar Association Mr. Dimitris Vervesos “..as has been widely judged by the European Court of Human Rights and has occasionally highlighted by the neighbor Bar Associations, Turkey has been had systematic violations of international law against the persecuted Turkish citizens and a large number of Turkish lawyer colleagues. The safeguarding of international law is a self-evident duty of the Bar Association, which has past struggles for democratic gains at national and international level..” said in his intervention in a case.